1 passes around boards to 2 and then moves up centre ice. 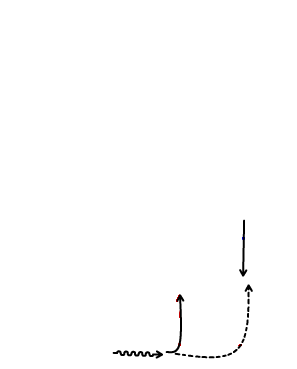 • 2 dumps a quick pass to the breaking 1. • 3 begins moving up on the left side. 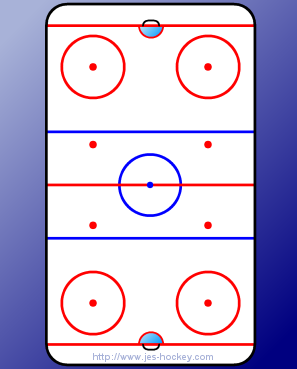 • 1 moves puck up center lane. • 2 breaks up right side as 3 continues up left. • 1 passes to 3 while both are moving. • 2 continues up boards. • 3 carries puck to left circle. • 2 begins to break to net. • 1 pushes hard up center lane. 3 passes back to 1 and breaks to net. 1 takes a hard shot on goal as 2 and 3 crash net for rebound. Players rotate positions and run drill again.